Physician assistants (PAs) examine patients, prescribe medicine, and order diagnostic tests. In most cases, they work under the supervision of physicians or surgeons, but they can work more independently in some states, rural areas, and inner-city areas, consulting with physicians only when they need help with cases. There were approximate 106,200 physician assistants working in the U.S. in 2016, and more than half of them were employed in physicians' offices. Physician assistants carry out many of the same functions as traditional medical doctors. Interview and examine patients to determine a diagnosis. Order tests to ascertain the nature and extent of illnesses and injuries. Prescribe medications and suggest lifestyle changes to remedy medical problems. Stitch wounds and set bones. Maintain patient records and provide documentation for insurance companies. Physician assistants can specialize in areas like psychiatry, pediatrics, dermatology, or surgery. They work for hospitals, group medical practices, colleges, and government agencies. Working as a physician assistant can be an alternative career path for someone who is interested in medicine but wants to get started sooner than the time it would take to become a physician. PAs often have more limited costs for medical liability insurance. The highest paid physician assistants work in outpatient care centers. 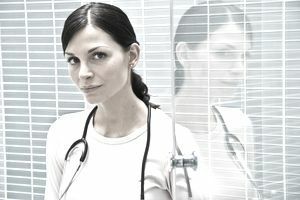 Physician assistants are formally educated to examine patients, diagnose injuries and illnesses, and provide treatment. Education: Graduate school, typically a master’s degree from an accredited educational program, is required. Two years of full-time postgraduate study is generally required to earn the degree. Most applicants to physician assistant education programs already have a bachelor’s degree and some healthcare-related work experience. The graduate programs include classroom and laboratory instruction in subjects including pathology, human anatomy, physiology, clinical medicine, pharmacology, physical diagnosis, and medical ethics. Training: You will also need hundreds of hours of supervised clinical training in different practice areas, including family medicine, internal medicine, emergency medicine, and pediatrics. Licensure: Physician assistants must be licensed in every U.S. state and the District of Columbia. You must pass the Physician Assistant National Certifying Examination (PANCE) to become licensed. A physician assistant who passes the exam can use the credential Physician Assistant-Certified (PA-C). Continuing Education: Continuing education is required to maintain certification. Physician assistants must complete 100 hours of continuing education every two years. A recertification exam is required every 10 years. Here’s a list of the most commonly-sought skills in physician assistants. Skills will vary based on the exact position for which you're applying. Patient and care team communications: Physician assistants must be able to communicate clearly and compassionately with patients and their colleagues within often stressful medical treatment settings. Analytical skills: Strong analytical talents are as important for physician assistants as they are for medical doctors in ensuring accurate patient diagnoses and the implementation of responsive care plans. Interpersonal skills: Solid interpersonal skills, also known as “soft skills," are key to displaying a good bedside manner when working with sick or injured individuals. Technical skills: The development and almost universal adoption of electronic medical records across the healthcare industry means that physician assistants must be more technically savvy than they were in previous generations. According to the Bureau of Labor Statistics, employment of physician assistants is expected to expand by 37% from 2016 to 2026, and that's really very significant. Increased demand for medical services from an aging population and efforts to limit the costs of delivering medical services performed by doctors are factors impacting this growth. This can be a physically demanding career. You'll be lifting, shifting, and maneuvering patients who are unable to do these things for themselves, and the job also requires long hours on your feet. This is particularly true for those who work in hospital and operating room settings. It can be emotionally draining as well, due to ongoing involvement with the sick, the handicapped, patients who aren't expected to recover, and grieving and worried families. This is typically a full-time career, although about 25% of physician assistants worked less than 40 hours a week in 2016. Weekend and holiday hours are sometimes required, and some physician assistants are required to be on call at odd hours as well as during business hours when they would otherwise be off in case of emergency.